Create a seaside atmosphere in your bedroom with the Coral Reef Drapery Panel. 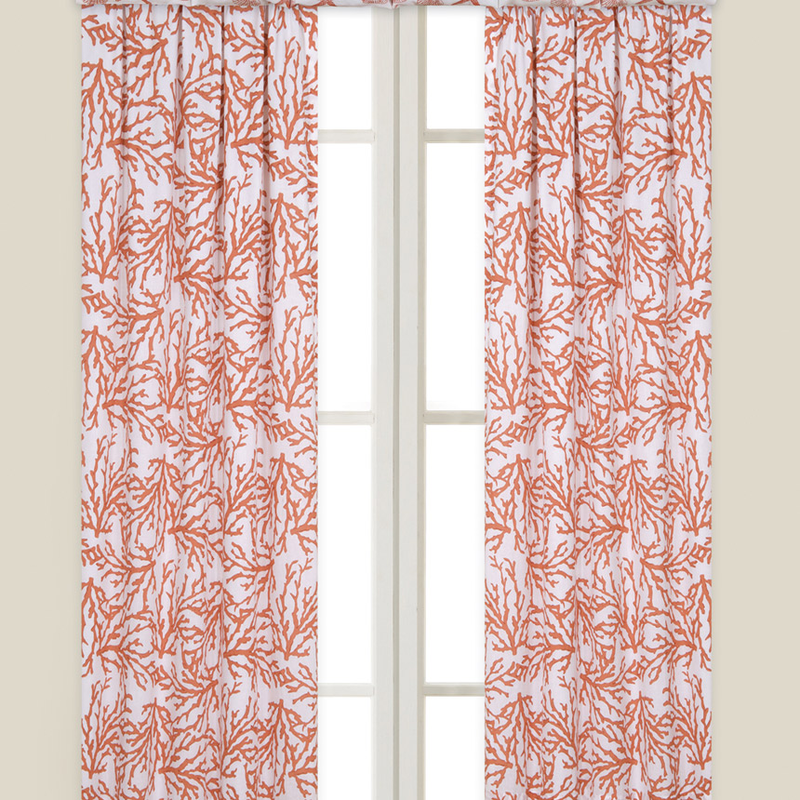 This drape features a two-tone coral print for defining style. These coastal window treatments ship from the manufacturer. Allow 1 to 2 weeks. Cannot express ship. For many more pieces, we ask you to make time to look at our full assortment of beach bedding at Bella Coastal Decor today.